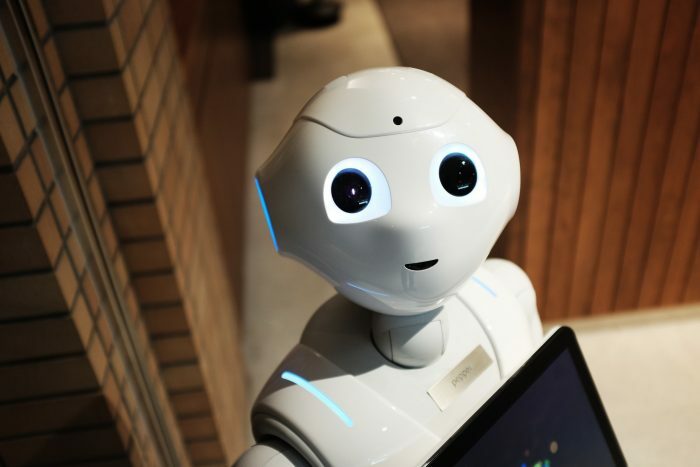 According to a study conducted by Oracle, that’s the number of businesses who said they have or are planning to implement Artificial Intelligence or Virtual Reality by 2020 as a way better serve customers. The hype is big and the investment is bigger with Forrester predicting a 300% increase in spending on customer-focused AI by 2020. A study by PWC found that AI could contribute as much as $15.7 trillion dollars to the global economy by 2030. Ok, Ok. I get that is kind of “big deal” in more than the Ron Burgundy sense of the phrase. But before wildly pursuing AI, AR, Chatbots, 3D printing or any new emerging technology you should have a clear reason of why you want to adopt this technology. So often, technology is adopted for bad reasons. Here are 4 common missteps in the application of customer-facing technology. My mom used to say “If everyone else was jumping off a bridge, would you want to?” She said it so many times that I oftentimes considered the option. Nonetheless, my mom-advice was, as so often is the case, on point. I remember when social media monitoring was taking off in the early 2000s and everyone in the research world was freaking out. It was going to completely replace surveys…nay…insights altogether! We were going to be able harvest customer feedback from Twitter, TripAdvisor, and Blogs and save millions of dollars. Research companies rushed to build, purchase, or just fake their way into the area. Billions of dollars were invested but the promise was never really realized. Little did we know that so much of what people had to say…well just wasn’t that relevant. “Some jerk in a Tacoma cut me off!” tweeted out to the globe did little to inform Toyota’s product developers. Today there are few players in the social media space and those that remain tend to focus on the original use of case of brand reputation monitoring. Even amongst them, you still cannot completely rely on social media your only source of public relations awareness. Well I guess you could, but it wouldn’t be a good idea. Before jumping into technology, it is important to get very clear on why you want to use it. Start with the hypothesized business use case and then explore technology options. I find that simpler is better, especially in the beginning. Also, as another childhood sage once imparted: don’t always believe the hype. “We’ll save millions in the call center!” said the over-caffeinated COO high fiving the CFO after the vendor pitch. This scene has been replayed countless times in countless conference rooms throughout the globe. While there are legitimate ways to gain huge efficiencies through technology, a significant subset of these jubilations come at the expense of customer experience. Let’s take the example of the ubiquitous IVR technology so many ‘Customer Care’ center use today. These have inarguably saved companies billions of dollars with one study finding that using IVR is 7 times cheaper than talking to a live agent. True, but in many implementations of IVR the company has now put the burden of resolving the problem on the customer rather than on those who caused the problem in the first place, namely, the company. Implementing IVR only to reduce cost can do so at expense of higher churn. People want an easy experience with a company, not one that is harder. So many technology failures are not the fault of the technology design or install at all. It is trying to adapt technology to do things it wasn’t designed to do in the first place. For example, I once encountered a situation in which an action planning tool (designed to be used for teams to resolve systematic complex problems) was being applied as case management tool (designed to be used to resolve individual customer problems). The client was angry, her end users were dismayed, and the account manager was frazzled. The technology was designed well, it was just misapplied. I am afraid the noble cause of CRM suffered a similar fate. The genesis of CRM was to create a relationship between the company and the individual…ideally at the individual level that provided value to the customer. This bold vision devolved in many cases into newsletters no one read or strident spam email campaigns that clutter inboxes today. The technology made it easy to do bad things. The advent of so many self-serve platforms I think has had a similar effect in the market research space. There are so many really bad surveys out there today, what few people who once took them, no longer will. Just because you can, doesn’t mean you should. Probably the biggest allure of technology is that it lulls some into the belief that they will no longer have to think. “Let the robots figure it out” is a tempting resolution. In some cases, like with the fastidious Roomba, this is a smart decision. In so many others it is not. Self-serve does not yet usually mean “automated’ service. It just means you can do it now, rather than the guys and gals in white lab coats. The same is true with Customer Experience technology. CX cannot be put on autopilot yet. For example, chatbots are not fully autonomous, they can get stuck and when they do it is obvious. Chatbots left on their own will make customers angry, just like poorly constructed IVR systems, “Help” centers do today. How today’s technology can be optimized today is at the crossroads of humankind and machines. If you ever call in the American Express call center your blood pressure will rarely escalate. They are regularly rated the best credit card in syndicated studies. Their secret? They do all the hard work of helping you while also optimizing efficiency. First, they put the burden of routing you to the correct department on the system. Unlike multiple ‘hand offs’ you may experience elsewhere, you can get everything you need through one number. Advance analytics, modeling, and operational consolidation is all accomplished through one routing system. Second their ‘bot’ technology is helpful, intuitive, and quite accurate in recognizing language. I recently had to re-order a card that was damaged and did so effortlessly through their voice recognition system. I didn’t want or need to talk to a human to get it done. But American Express realizes it’s not just about the technology. If you need assistance you can easily just say ‘representative’ and it routes you to a live body. I have rarely been put on hold for more than a few seconds. Not only does American Express allow you gain access to a human, they treat their humans…humanely. For example. According to an article written by Ann All they allow their employees a fair amount of discretion in helping resolving problems. She provides an example whereby an agent have the authority to set up a call between a vendor and card owner to help resolve a charge dispute. Treating people well pays off for the customer, the employees, and the company. Knowing when to apply the technology and when not to is the key to providing a great experience for all. In much the same way a bicycle can move you faster than on foot, CX technology can do the same. For example, the use of Chatbots can augment the amount of work that an individual agent can do exponentially. The chatbot can dynamically handle simple Tier 1 questions while the agent looks over them like a shepherd over his flock. When one gets stuck, the human gets involved. Still, machines need help. Even the best AI still struggles with colloquiums and non-routine tasks. They will get better still in the future. CuriosityCX in collaboration with Michigan State University’s MSMR program talked to more than a dozen CX leaders about the future of customer experience. We found four key areas where AI will play role in assisting humans. Eventually, we will move from this augmentation to the machines doing all the work, but that is still in the future. Here’s what the future could look like. Analysts usually look for data that is out of the ordinary. Though they have powerful tools such as Bayesian algorithms and machine learning tools, analysts still typically need to frame the problem and introduce the right variables for interrogation. In the future, systems will automatically detect the anomalies to the end user—or to the machine. AI will aid in diagnosis much in the same way as visiting your medical general practitioner, but it will be automated. Your physician operates from understood concepts refined over years of experience. They use this knowledge to connect known patterns and determine a probable diagnosis. Every problem has a known set of possible solutions. Expert systems are already adept at finding remedies to routine problems. While the problems of customer experience are much more varied than say, manufacturing environment, eventually the relationship between problem and solution will be uncovered. Through trial and error this relationship will strengthen as solutions are found more efficacious than others. There is some early evidence that this is already happening in other areas. Firms such as IBM have invested marketing content creation based on individual preferences and profiles. This same technology can also be applied to potentially fix CX problems or anticipate them before they have an impact. While we are a far cry from having robots run the show, eventually they will. In much the way many in the Western world don’t hand washcloths, humans won’t be needed to always be at the till of the CX program. While there are huge advances in Anomaly Detection through advanced analytics, even that first stage is still in its infancy in CX. We have come a long way but still have some way to go. Until then, the robots will work for us, rather than the other way around. Hi Dave: thanks for this article. I agree with three out of four of your missteps. My point of difference is ‘using technology in a way it wasn’t intended.’ Isn’t this a core concept for innovation? I worked in IT in the early days of mobile computing – before it was called mobile, in fact. I designed and sold systems for logistics applications that used legacy communications protocols, screen sizes, and keyboard designs. We kluged software and hardware to enable terminals to perform in situations that were not envisioned by the original developers. 16×20 screen sizes, A-Z layout keypads for use by warehouse workers and forklift operators. Screen scraping software that allowed repetitive shop floor data to be captured by scanning a barcode, and flow “seamlessly” to complex back-end ERP applications like SAP. ‘IP Tunneling’ that allowed devices to maintain host connectivity as they moved around in a large distribution center or manufacturing campus. At the time, terminals were large, clunky, and tethered to the desk top, usually via ethernet cable. The idea that host communications would be broken multiple times in a session as a design requirement was heretic. So the industry bent and re-shaped many existing tools. The company I worked for at the time developed the first unabridged MS-DOS operating system able to work on a computer you could carry and hold in your palm. When Microsoft developed their operating system, they were only thinking of desktop hardware. All of this sounds prosaic today, but at the time, we routinely adapted technology for uses they were never designed – let alone intended – to do. There are many other examples. Hi Andrew, good point. In your situation it sounds like there was no available solution so you created one based on existing tools with the customer need guiding you. Agree that’s where innovation can originate from. In my example, the customer need was poorly understood and the wrong tool was recommended, even though there were appropriate ones for the use case. But your point is well taken. Thank you for reading!